Igor Vukanovic’s team complete their Winter League commitments tomorrow evening when at 17.30 hours they meet Sirens. In their last competitive encounter in the Enemed Cup earlier this year, the Northerners won comfortably 15-5. 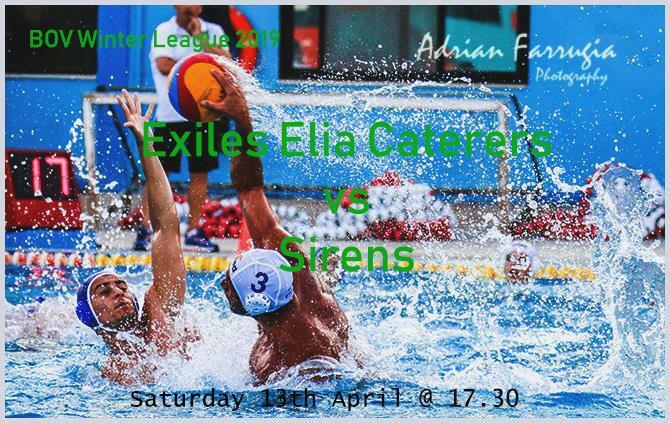 Exiles’ subsequent outings showed signs of progress but in the Winter League, the momentum seems to have decelerated with signs of tiredness showing in the crucial stages of the matched.